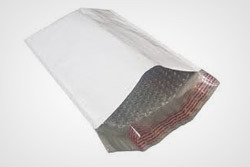 Bubble mailers combine the strength and versatility of a courier envelope with the cushioning of a bubble-lined mailer. 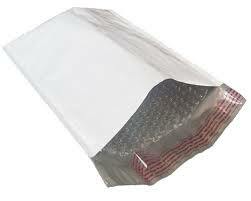 Keeps your product dry when shipping to wet climates. Poly Tuff Bubble Mailer 4 x 8"
Poly Bubble Mailer 6-1/2 x 10"
Poly Bubble Mailer 7-1/4 x 12"
Poly Bubble Mailer 8-1/2 X 12"
Poly Bubble Mailer 8-1/2 x 14-1/2"
Poly Bubble Mailer 10-1/2 x 16"
Poly Bubble Mailer 14-1/4 x 20"